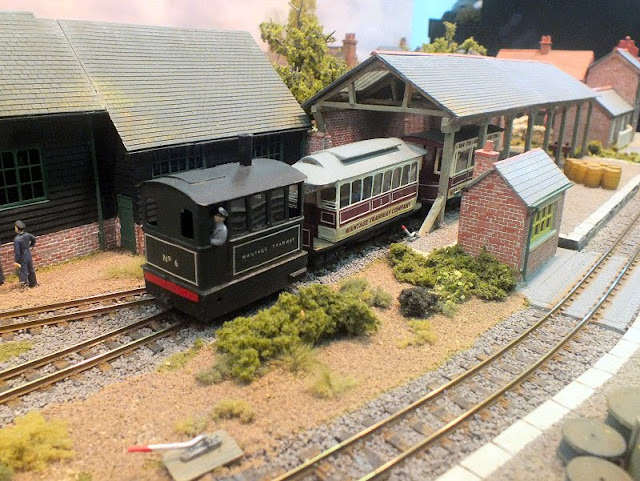 Most narrow gauge modellers are familiar with Narrow Gauge South West, the annual show in Shepton Mallet that kicks the winter blues away every February and in many people’s opinions, is the best annual show of them all. Not a lot of people however are very familiar with the small but dedicated band of mainly North Somerset based modellers called the Small & Delightful Railway Group who have organised NGSW for many years. Every 2 years they get together and have their own opportunity to play trains and generally enjoy themselves with an open day held at the village hall in Compton Dundon, a few miles south of Street. 16 layouts (hey, that’s one more than they have at ExpoNG this year! ), a good venue, lots of informal friendly fellowship and some outstanding refreshments from the ladies of the Glastonbury Lions. Some may not be aware yet that next year (2017) will be the last NG South West, but I’ve been assured that the S&D Group will carry on and will still be holding their super open day every other year – 2018 in the diary already! When you click the link above, you will be taken to the album in Google Images, and will see the title plus small versions of the images. Click on the first image and it will open. If you cannot see a caption to the right of the image, click the "i" button which is on the line of symbols above the image. This will open the caption window, which will stay open through the album as you view the images by clicking the right arrow on the lower right of your keyboard, between the ctrl key of the main keyset and the number keys.